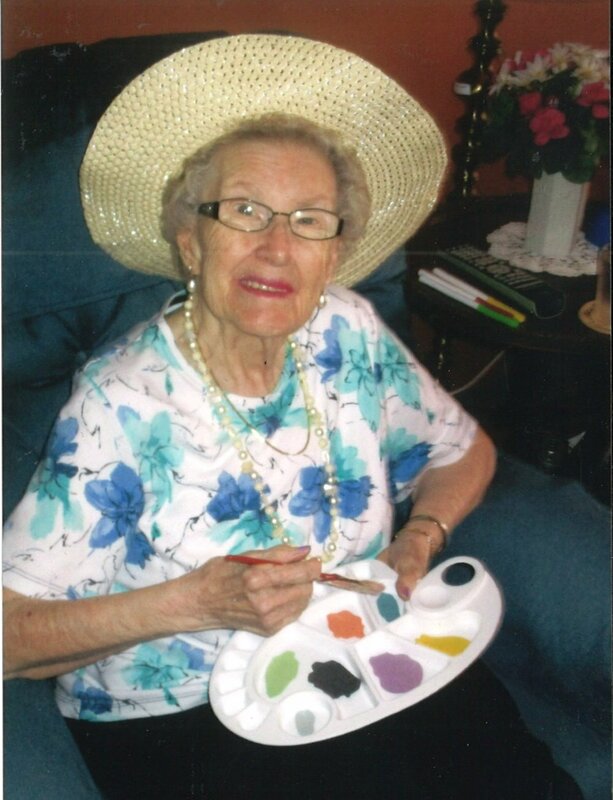 Sara Louise Dufton (Sally),BA, of London and formerly of West Nissouri, Wellburn and Thorndale, passed peacefully away on February 3rd,2019 at University Hospital, London, Ontario, in her 93rd year. She is predeceased by her husband of 67 years, Frederick Stanley “Stan” Dufton (2014), her parents, Lew and Anne (Laird) Davis, her parents-in-law Fred and Estella (Hudson) Dufton, and an infant daughter Joan Elizabeth (1951). She is survived by three daughters and a son: Judy Collis (Ron), Sylvia Skinner (Bob), Jerry Dufton and Janet Dufton. Sally was a loving grandma to seven grandchildren: Ryan Collis (Michelle DiPinto), Rachel Skinner and twins Erin Lea (Mike) and Graeme Skinner (Vanessa), Jacob Dufton (Rachel), Jenna Dufton, and Jeffrey Roberts. She is also survived by a great-grandson, Noah Skinner and four step great-grandchildren, Rainer, Gage, Keegan and Olivia Humann. There will be no visitation or funeral.A private service will be held. Cremation has taken place and interment will be in North Nissouri Cemetery. Friends who wish may donate to the Ontario Heart and Stroke Foundation.Andrew L. Hodges Funeral Home is entrusted with arrangements.